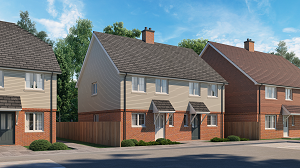 Following two successful years since launch, the Housing Growth Partnership (HGP) has now committed to build c2,000 homes on more than 35 schemes across the UK. In addition to supporting the delivery of new homes, HGP has provided over 1,500 hours of free mentoring to partners through its panel of senior advisors. The announcement of the next phase of funding for HGP provides certainty and continuity to our existing partners and the opportunity for HGP to support more housebuilders nationwide now and into the future. In confirming the ongoing investment, Homes England and Lloyds Banking Group expect to have supported the delivery of c£1bn of new homes by the summer of 2019. If you are an experienced small/mid-sized housebuilder or developer looking to grow your business please get in touch with the team at info@housinggrowth.com. < Previous PostThe Autumn budget: what’s at stake for the housing market?